Gain unique access to the leaders of Wanda Cultural Tourism Planning & Research Institute. President Wang will present an overview of Wanda CTI, their goals and vision. Wanda executives will share insight into the Wanda organization, process, and Vendor collaboration to bring this vision to life. Event will include presentations by Wanda and open Q&A sessions. 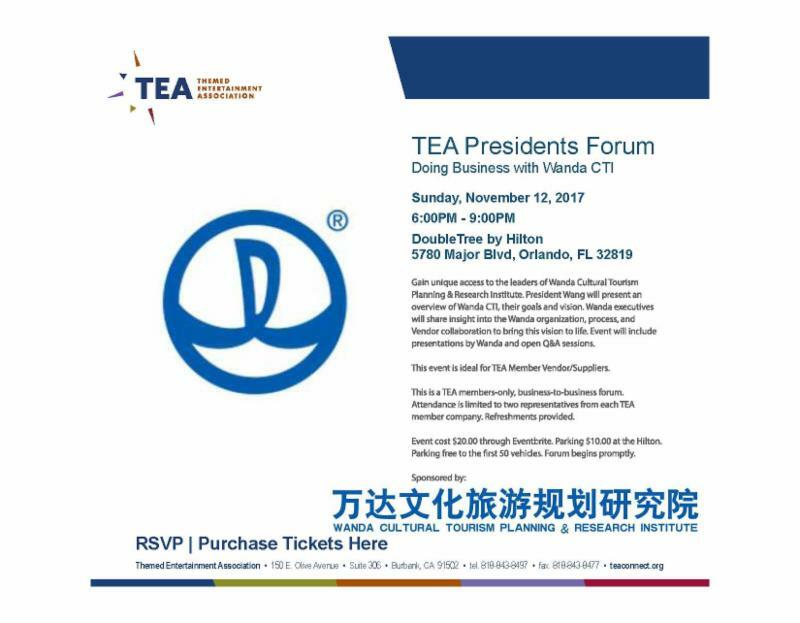 This is a TEA members-only, business-to-business forum. Refreshments will be provided.